One of the passions held by many is sports, and each season provides a new opportunity to cheer on one’s favorite teams as they follow their efforts through to a hopeful championship. It is not coincidence that “fan” is a diminutive form of the word “fanatic”. The hobby of collecting early newspaper adds an opportunity to broaden support for a team by including an historical perspective possible only through all this hobby has to offer. Baseball, football, basketball, tennis, golf, horse racing, soccer, and on and on. 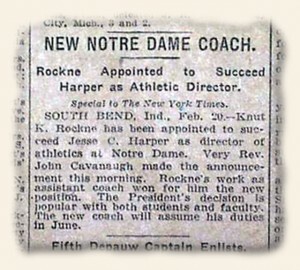 You name the sport and reports can be found in newspapers going back to the very beginning of the sport, or the beginning of newspapers. We once offered a newspaper from Springfield, Massachusetts—where basketball was founded—reporting the very first public game ever played. 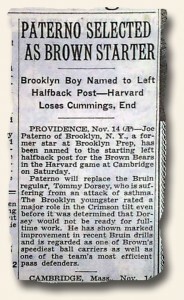 It is the holy grail of newspaper reports on basketball, and now resides in the archives of the Library of Congress. Similar gem items can be found for other sports as well. If a report cannot be found on the very beginning days of a sport, finding reports as old as possible is a quest which never ends. Baseball traces its history back to 1839 (although exactly when & how it was founded is up for some discussion) so finding a newspaper with a bonafide baseball report as close to this year is a worthy goal. We have some issues back to 1855 on our website, and game reports become more frequent during and just after the Civil War. But with baseball it’s often the golden era that attracts the most attention, from when Babe Ruth, Lou Gehrig and other standouts from the 1920’s and 1930’s were making headlines. Just following Ruth’s standout career can create a formidable collection, from early mention of him in the majors (how about 1914? ), his first Major League game appearance, his first home run, a report of him being sold to the Yankees, and then his stellar career as a home run record-setter. 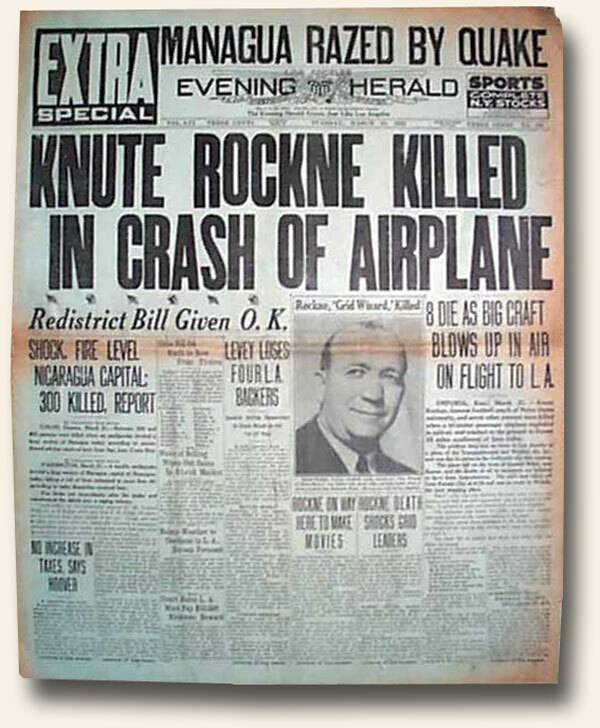 All were reported in newspapers. And there was a host of notable ball players from a generation before, including Nap Lajoie, Branch Rickey, Henry Chadwick, Honus Wagner, Walter Johnson, Ty Cobb, Joe Jackson, & Christy Mathewson to name a few. In fact baseball had its own daily newspaper from the 1880’s titled the “Official Record” which chronicled nothing but baseball reports of the day. Illustrations of baseball players are a special treat and add a graphic & displayable dimension to any collection. The popular illustrated newspaper “Harper’s Weekly” (and other well-know illustrated issues of the day) had many issues which featured half page or full page baseball prints, as well as a few doublepage centerfolds and front page prints which are particularly desirable. There are some ancillary items which are intriguing, several found in the scientific-themed periodical “Scientific American”, which featured a new electric scoreboard dating back to the 1800’s, and a novel invention of a “mechanical baseball pitcher”. 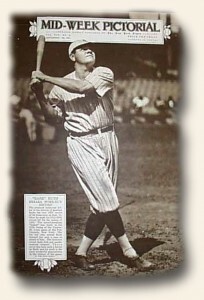 There are baseball reports of Jim Thorpe, who, although was more famous for his Olympic and football prowess, was a notable baseball player as well. 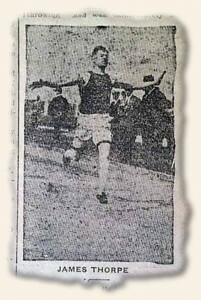 Newspapers with reports involving Jesse Owens are equally noteworthy. And just a focus on World Series games would result in a sizable collection, with the goal of owning the championship report for every World Series from 1903 to the present. The “Black Sox” scandal of 1919, which involved members of the Chicago White Sox team being accused of throwing the Series, made headline reports for the next two years as the case was investigated and brought to a painful conclusion. Although the most collectible of sports, baseball is by no means the only. 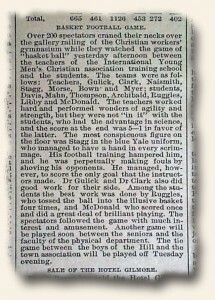 Football reports became common in the 1890’s and into the early 20th century. Again, “Harper’s Weekly” did much to provide a graphic account of the sport, with both illustrations and photos of players and action, showcasing the minimal amount of protection that was worn in comparison to what’s found in the game today. Collecting by team makes for even more focused collection. Among the more popular would have to be the Yankees in baseball, and Notre Dame in collegiate football. But any team name for any sport can be searched out of our website, whether it be collegiate football, the NFL, or nearly any other sport you can think of. Even something as obscure as pre-1800 boxing reports and ballooning can be found within collectible newspapers. Give it a try. With golf it was Bobby Jones who gave the sport some prominence with his accomplishments which culminated in the “triple crown” victory, after which he left the sport to pursue a movie career. But again “Harper’s Weekly” put many golf themed prints in its pages, several done by noted artist A.B. Frost, which make for displayable items for any golf enthusiast. Tennis was another sport which made the pages of “Harper’s Weekly” and those that are framed make great display items for any den. Track and field, bowling, bicycling, curling, fishing (with prints by A.B. Frost and Frederic Remington), hunting, sailing (including the America’s Cup), skiing, automobile racing, archery, and even surfing are a portion of a lengthy list of sporting events found in newspapers of the day. 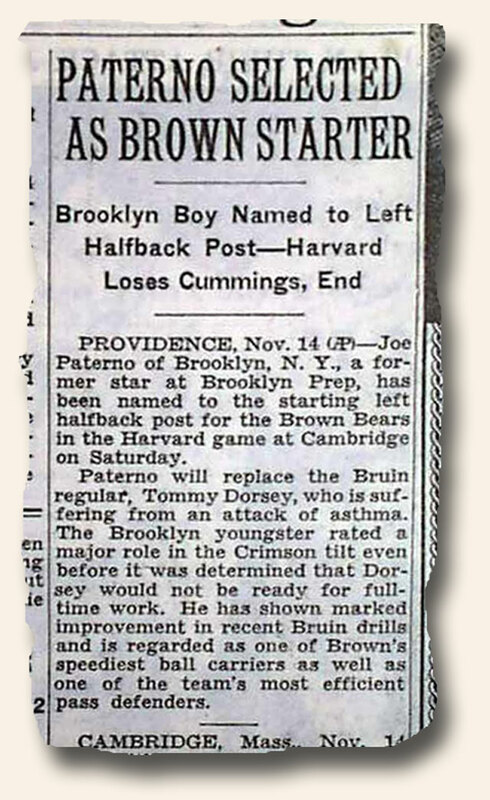 Whatever sport you follow and whatever the era, the world of rare & early newspapers has much to offer. Add an historical dimension to your hobby. There is much from which to choose.